The desktop can be designed using various kinds of add-ons and making it to look beautiful and attractive. This is possible by installing the Rainmeter software. According to the capacity of the PC, the versions like 32bit, 64bit can be installed in the zip file version by entering in to the www. 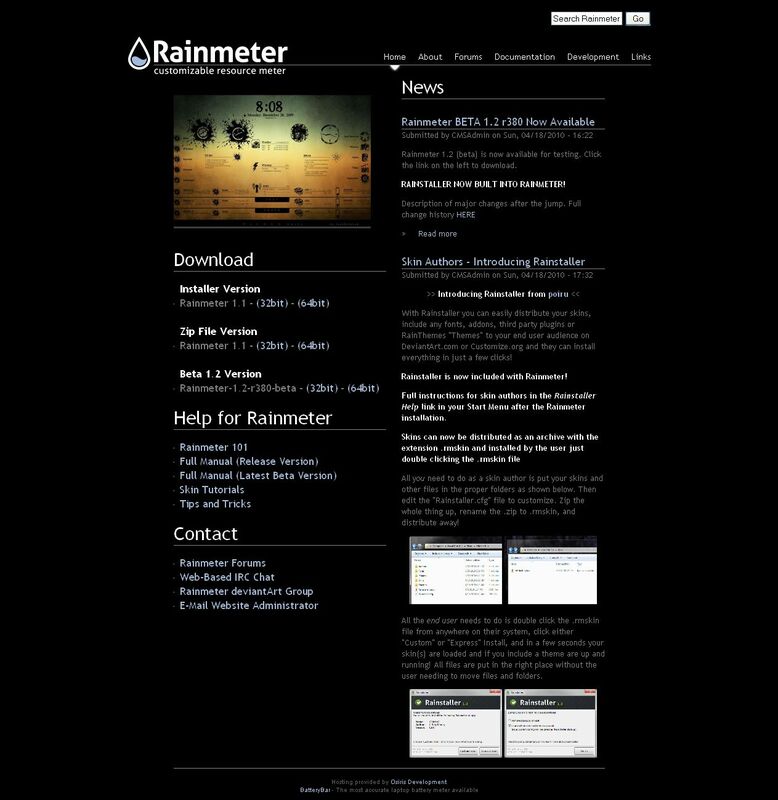 rainmeter.net site. In case if the download is done in the zip format, then it can be extracted after the download is completed. After the installation is completed, there appear different themes on the desktop when the folder is opened. The themes can be arranged and set using the features like the date, time, side bar, clock, temperature details, notes, network, music, recycle bin, CPU, Ram Usage and so on. After the rain meter is run, the icons are opened in the system tray. To make the changes for the selected themes right click on the icon in the tray. « How to replace the misplaced icons in normal position on desktop? » How to open the unknown / new format files, which software is not available in system?